[S1948] Unknown volume, Virginia, Deaths & Burials 1853-1912, unknown repository. [S998] The Durham Moring Herald, 1 Feb 1975. 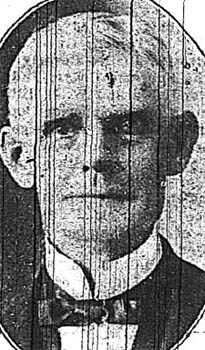 He was the son of James Edward Faulkner and Della Florence Ball. [S350] Unknown volume, New Jersey Death Certificate, unknown repository. [S1455] Greensboro Daily News, 2 Aug 1913. 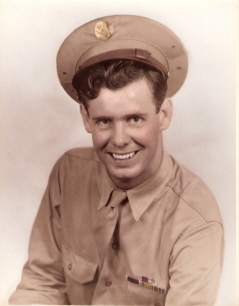 Birth*: John Leddell Faulkner was born on 22 November 1919 at Winston-Salem, Forsyth Co., NC; Birth Certificate shows place of birth as 212 Shallowford, Winston-Salem,N.C.. This may have been the home of the Faulkner's since the birth certif would normally show the name of the hospital. Marriage*: John Leddell Faulkner married Doris Lee Austin, daughter of George Fletcher Austin and Lula Lee Dew, on 1 March 1941 at West Columbia, Lexington Co., SC. 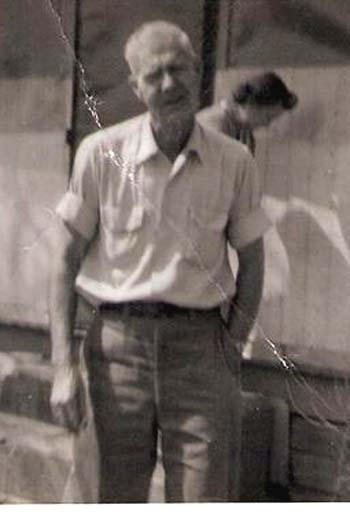 Marriage*: John Leddell Faulkner married Anne Cornelia Slater on 20 December 1944 at Cairo, Grady Co., GA.
Death*: John Leddell Faulkner died on 11 April 1946 at Thomasville, Thomas Co., GA, at age 26 . Burial*: He was buried on 15 April 1946 at Pine Hill Cemetery, Burlington, Alamance Co., NC. Marriage*: He married Doris Lee Austin, daughter of George Fletcher Austin and Lula Lee Dew, on 1 March 1941 at West Columbia, Lexington Co., SC. Birth*: John N. Faulkner was born on 22 October 1872 at Franklin Co., NC. Birth*: John P. Faulkner was born circa 1834 at NC. [S2031] Unknown subject, Civil War Pension Application - North Carolina. [S1458] Richmond Times-Dispatch, 28 Dec 1909. [S205] David B. Gammon, Abstracts of Wills Warren Co., North Carolina 1845-1902, pg100. [S1836] John Yates, Lest They be Forgotten. [S2271] 1900 Hunt Co., Tx Census. Birth*: John Sidney Faulkner was born on 9 December 1873 at Monroe Co., MS. 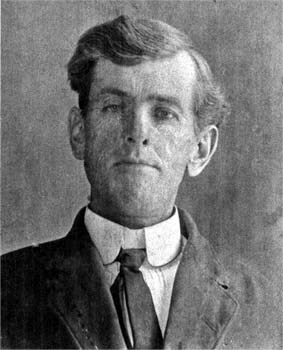 He was the son of John W. Faulkner and Catherine Miller. [S2183] Unknown author, Becker Family Tree. Birth*: John W. Faulkner was born on 31 March 1848 at Warren Co., NC. [S1843] 1860 Whitley Co., Ky. Census. [S1844] Unknown volume, Whitley Co., Ky. Death Certificate, unknown repository. 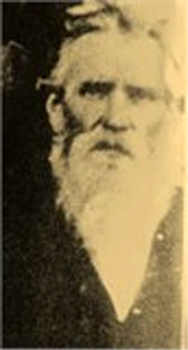 Birth*: John Wesley Faulkner was born on 11 September 1812 at Whitley Co., KY. Marriage*: John Wesley Faulkner married Mary Tye on 17 March 1834. Marriage*: John Wesley Thompson Faulkner III married Lucille Ramey on 2 September 1922. He was the son of Betsy Falkner. Birth*: Johnson Faulkner was born before 1757. 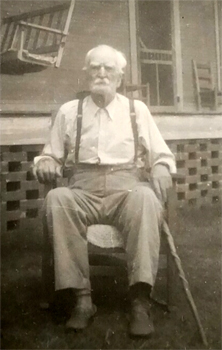 Birth*: Joseph Faulkner was born circa 1812 at NC. Burial*: He was buried after August 1879 at Franklin Co., NC; Joseph is buried in an abandoned cemetary in Franklin Co.
[S771] 1880 Franklin Co., N.C. Mortality Census. 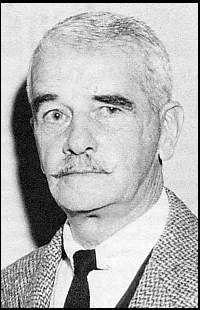 Birth*: Joseph Faulkner was born circa 1758 at NC. He was the son of Francis Faulkner Jr. Marriage*: Joseph Faulkner married Martha Franks on 21 July 1800 at Blount Co., TN.